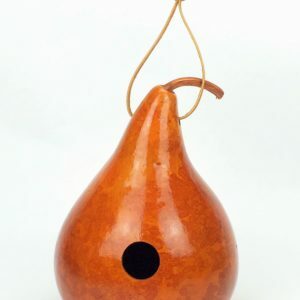 Kettle gourds are excellent gourds for birdhouses, vases, baskets and bowls. 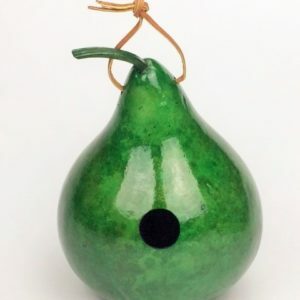 They’re also very popular for woodburning, painting, and carving. They are 9″ in diameter and 12″ tall. For some wrens, titmouses, nuthatches, and more. 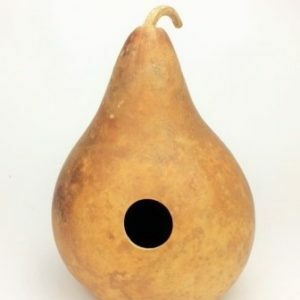 About 7″ – 8″ diameter, 12″ tall and has a 1.5″ hole. 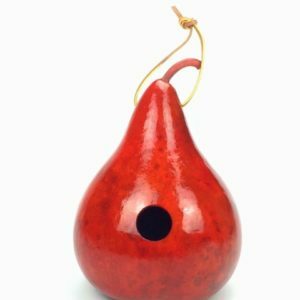 Natural Gourd Birdhouse, Mahogany color. Entrance Hole is 1-1/2″. 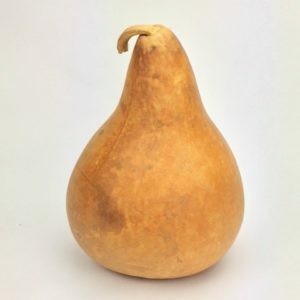 Gourd is 8″ in diameter and around 12 inches tall. An excellent home for purple martins, an affordable choice for those not interested in nest checks. 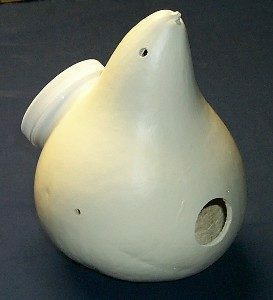 9″-10″ gourd, painted white, with hanging cord or wire. 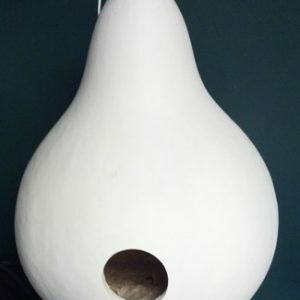 This Purple Martin House has a large cavity (9″ – 10″ dia. 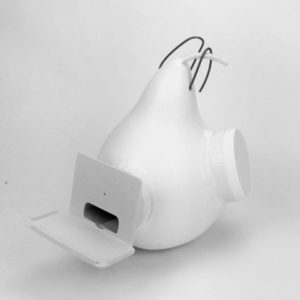 gourd) and has the convenient Cleanout Access with screw-on lid. Other birds will also like the roominess of this home. See the Tips and information pages to learn more about Purple Martins. For Purple Martins. 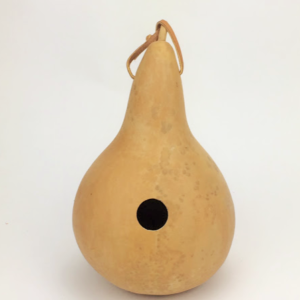 Deep cavity natural gourd with Conley II Tunnel entrance featuring wing entrapment guard. Extra wide porch. Large Cleanout Access. Painted white. 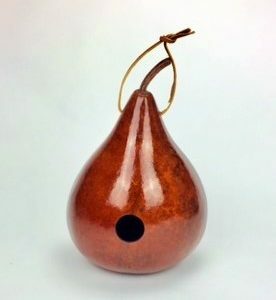 Purple Martins prefer natural gourds because the inside is easy to hang on to and move around, not slippery like plastic gourds.